"One Last Good Look follows the youthful and observant Gabriel English (whom we meet again in This All Happened) as he grows up in Newfoundland, leaves home and establishes himself in the world. These are stories of first rites: hunting accidents, sibling rivalry, infatuation, death in the family, romantic breakups, sustaining friendships, and the yearning for love, laughs, and understanding. The storyline is one of the oldest in literature—that of a young man making sense of the world and choosing his place in it. 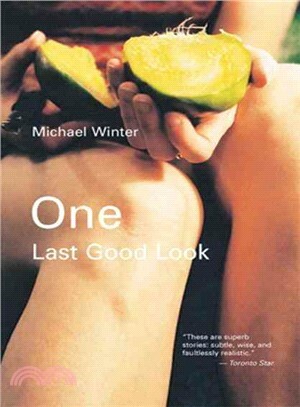 Michael Winter tells his story in an intimate, compassionate way: his love for vivid detail, dialogue and humour come pouring through every line."